The three-day sprint for the National Olympic Committee election heated up with the two main parties headed by the respective presidential candidates Anthony Rohan Harsha Fernando and Suresh Subramaniam seeking a majority power from the affiliated members at the February 23 election to govern the NOCSL for the next four years. The number of member votes (33) included two votes by the Athletes’ Commission which was challenged by objections. The Athletes’ Commission was established as a NOCSL constitutional requirement and has two votes at the AGM. The NOCSL constitution also allows Athletes’ Commission to include two of its members in NOCSL Executive Committee. But according to the three-member NOCSL election committee head Dr. R. M. K. Ratnayaka the Sri Lankan Sports Law does not allow such a voting right to the Athletes’ Commission. The ‘Daily News’ tried to contact Dr. R. M. K. Ratnayaka but his phone was out of reach on all attempts. NOCSL sources revealed that the Athletes’ Commission’s voting eligibility matter has been referred to the International Olympic Committee (IOC) and the decision is expected to be received on the morning of Election Day. NOC sources further said that if IOC decides that the two votes of the Athletes’ Commission are not eligible, the number of votes that will be considered for the election will be 31. The election will be held on Friday evening at the NOCSL headquarters at 6 pm. Presidential candidate Rohan Fernando, a former champion rower and a top entrepreneur who is the president of the Amateur Rowing Association of Sri Lanka is the Finance Committee chairman of the existing NOCSL administration. Rohan launched his election campaign with a strong voice against corruption and promised to establish good governance and accountability at NOCSL if he is elected president. Roshan’s alliance comprised some experienced sports administrators including secretary candidate Rohan Preethiviraj Perera who is the founding president of the National Association for Canoeing and Kayaking in SL. National Shooting Sport Federation of SL president Shirantha Peiris is the contestant for the treasurer’s post from Rohan’s camp. “We have to change the whole setup of the NOCSL to serve sport. I have a well qualified, experienced bunch of sports administrators with me who are not subject to corruption allegations. We have to start a new chapter in Sri Lankan sports,” said Rohan Fernando. “My rivals will not be an alternative but they are just an extension of the present regime. I am sure that we can take Lankan sports on the right track and we are confident of doing so very soon when we come to power in the NOCSL,” he stated. The other presidential candidate Suresh Subramaniam, a former Davis Cup tennis player and a business tycoon is also a former president and a present vice president of the Sri Lanka Tennis Association (SLTA). Suresh was recently appointed as the vice president of the Asian Tennis Federation. He is a reputed sports administrator and vows to bring more professionalism and transparency into the NOCSL if he is elected to run the top sports body for the next four years. 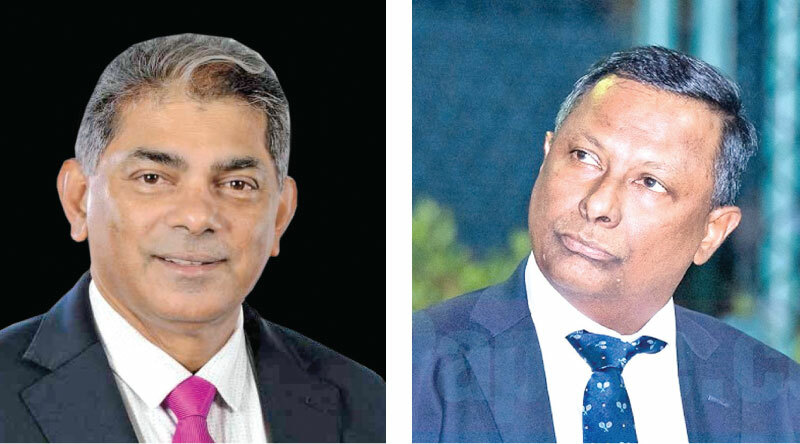 Suresh’s camp too is armed with individuals of high repute including the immediate past secretary Maxwell de Silva, who is the most experienced NOCSL official in the fray, competing to secure the secretary office for another term. Maxwell was first elected to the secretary post in 2009. Cycling Federation treasurer Senaka Clement Ranasinghe is contesting for the treasurer’s post from Suresh’s camp. “There are a lot of shortcomings in the Sri Lankan Sports Law, NOCSL constitution and IOC rules which created counter progressive impact on Sri Lankan sports in recent times. I will take necessary steps to create harmony among them and work towards the development of Sri Lankan sports,” said Suresh. “I have been in sports administration at international level for quite a long time and I am very confident of uplifting Sri Lankan sports with a proper mechanism,” he said.